Hey y'all. 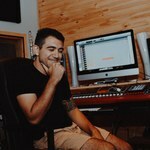 I wanted to post real quick to introduce myself and Iron Age Audioworks. This is a sneak peek for RGO types only. 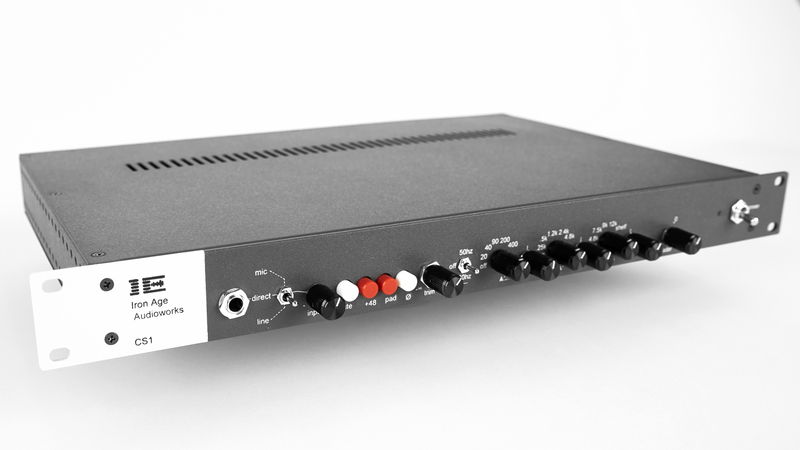 IAA is a boutique audio shop that produces discrete solid state designs. It's me (Matt), my best bud and partner in crime Fernando, and our sherpa da kine Chris (who runs Barbaric Amplification). We are fans of good design, passionate about music, and we love making things. Fernando and I are both mechanical engineers who come from a background designing, servicing, and repairing turbomachinery. We've been making all kinds of stuff together for about ten years -- everything from furniture to guitar pedals to audio gear. Last year Chris really encouraged us to step out there, brand it, and start offering products. IAA is the result. All of our products are designed by us from one end to the other, and made here in Texas. IAA isn't about clones but cool, useful, musical designs that are inspired by vintage gear from the past. Our basic tonal building block is an in-house discrete operational amplifier coupled with a carefully selected output transformer. The M2 op amp is an eleven transistor design that produces a very low THD, even-order dominant sound – warm and clear. We couple that with a steel-core Cinemag transformer for some warmth that extends up into the mids. We also did a pretty thorough input transformer search and landed on a Jensen for our mic pres. This combo results in what a few of our test listener engineers have described as a clear, focused, and tight, sound. 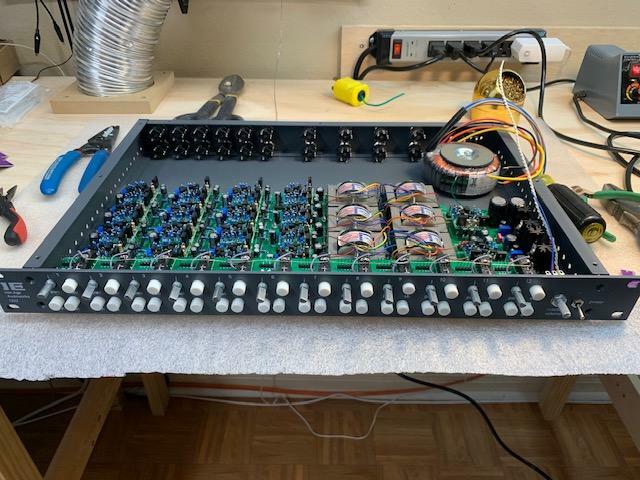 We also have other proven op amp designs available, and we tested a ton of op amp, input, and output transformer combinations before settling on our stock configuration. If there’s something you want, let us know – we’d love to modify something to meet your specific needs. Custom work is comfortable for us. We've got a couple of products really close to completion, but the one I'm excited to announce today is our Summing Mixer - the 1222. The 1222 is designed to replicate the summing bus and part of the routing matrix of a large format console. It uses 12 M2s for the balanced inputs, each with individual pan control onto a switchable stereo bus. In addition to the stereo bus, the 1222 has a second pair of switchable mono busses for mono duty or as a stereo bus with LCR assignment. Each bus is summed using M2 as an active virtual earth amplifier and a transformer balanced output. The stereo bus also has a nominal -2 dBu (6 dB below the output level at full fader) unbalanced insert point. This is followed by a master fader level control and an output line amplifier. The stereo bus and mono busses feature slightly different gain staging, a signal could be sent to both – in some applications you may prefer one or the other. 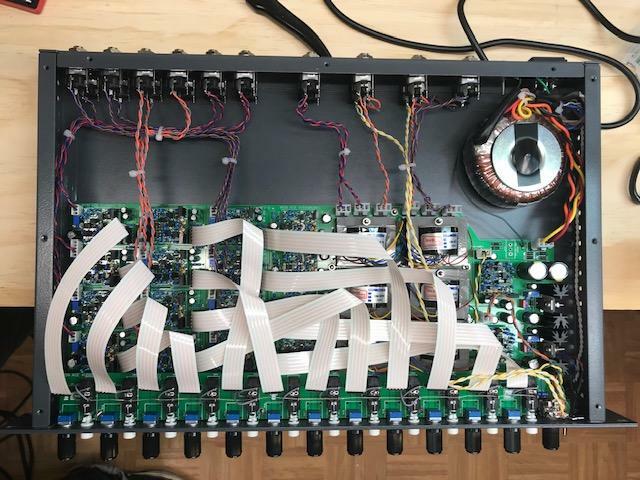 18 op amps, six transformers in 1RU – lots of possibilities. The 1222 is $2000 and can be ordered directly from us - starting today. Edit: I forgot the pics! We're getting legit photographer glamor shots done Friday, so you'll have to suffer through my build photos for now. Matt has sent me some samples to listen to as he has put this line together Unfortunately I have been sick as a dog with ears to screwed p to give a real opinion of the last ones but everything else he’s sent has been really impressive. I know he’s not trying to pay for a Ferrari with this venture so he’s been trying to keep the cost reasonable so give Iron Age a try. I've gotten to hear this stuff. Sounds great! Clean details and yet not sterile but very lovely sounding. I have some M2s here Im burning in to test in some gear as well. Really excited to hear them! Cool to see your stuff coming out Matt! I personally got to beta test a few of his pieces. I’ll post a little more later, but this channel strip was nice. Loved the EQ and it was built like a tank! Last Edit: Mar 5, 2019 19:08:59 GMT -6 by Vincent R.
Lets start with the Iron Age CS2. A dual channel version of the CS1 on their website pictured in my photo above. I originally started talking with dogears about his summing mixer, but back at the end of 2018 it wasn't ready yet. He asked in passing if I'd be interested in trying his channel strip. I'm always interested in tryng new pieces so we made it happen. One of my favorite things about the unit was the BAX style EQ. I found it really musical no matter how I pushed it. I don't have any comprehensive samples of it, but I did a similar preamp test to the one I posted on the UAD V76 Unison preamp. I split a signal 4 ways from my FleA 49 to the CS2, SSL VHD with VHD all the way to tube harmonics, Dan Alexander 1272, and UAD's Unison Neve 1290 preamp. I've got two clips here, "Most Wonderful Time of the Year" & "Nessun Dorma." I was just kind of goofing and it was late, so I'm not singing as loudly as I normally would at times. Still it's probably 110 db or more at times during ND. It handled it like a champ and was very musical, but not sterile or modern. It's warm and yet clean. Last Edit: Mar 6, 2019 21:59:18 GMT -6 by Vincent R.
Fernando and I are going to be in LA the first week of April. If anyone wants us to come by, we’ll bring a demo or two. And beer money. Looks great, good luck Matt. Been running around. I’ll try to post a couple of clips soon. Good luck, at some point will the different op amps be described in some way: std 5 pin ? I have a pair. They are standard 2520 foot print. 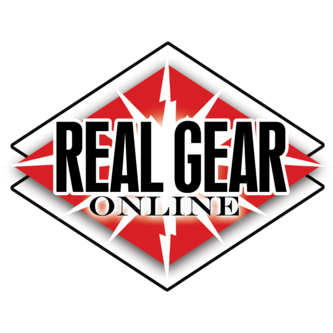 I'm doing an open amp shootout with them and a bunch of others. Cool, they have 3 on their site ? Yes, we make the M2 (the one blackdawg has) as well as a 2520 style (ADO), a Neumann OA10 style (NDOA), a Jensen 918 (JDOA), and a Quad Eight AM10 (QDOA). They’re all a little different in amount and color of distortion, as well as their break over point for class A / AB operation and ideal source impedance for noise. I have a little write up about this I’ve been working on but it’s not quite finished yet. Differences between real op amps are things like slew rate, phase margin, gain, etc. but these all kind of add up to what we hear, which is distortion. Distortion is just the difference between what we put in, and what we get out. If you have a perfect op amp distortion would be zero, because it would have infinite slew rate, open loop gain, and so on – a linear, 1:1 transfer function, or map between the input and output. But real op amps can’t do it – and that’s why they all sound different. Distortion products come from a nonlinear, non-1:1 transfer function. Distortion comes in harmonics, or multiples, of the input signal. What that means is, if you put a sine wave at 1kHz through an amplifier, you will get out a large signal at 1kHz, but also smaller signals of 2k, 3k, and so on. We call even multiples of the input signal (the fundamental frequency) even-ordered, and odd multiples odd-ordered. If the transfer function is asymmetrical in its nonlinearities, you get even-ordered harmonics. If the transfer function is symmetrical, you get odd harmonics. All amplifiers make both. Single-ended circuits (where an output device is producing the entire output waveform, like class A amplifiers) are asymmetrical, so they tend to have more even harmonics. Push-pull circuits (where two output devices are each contributing parts of the output waveform, like class AB amplifier) are symmetrical, so they tend to have more odd harmonics. Op amps can be both! Most discrete op amps have the output stage set up in a way that the complimentary or quasi-complimentary pair are class A for low output currents and class AB for higher output currents. In class A mode each output transistor is fully replicating the output waveform. In class AB the current demand is too much, so the upper and lower output transistors each make their respective half of the waveform, and sit idle during the other half. What this means is at higher loads the distortion is going to increase significantly due to crossover distortion (caused by the part where the transistors are “handing off” the signal). That sets up a situation where we may love the way an op amp sounds at low levels, but not so much at high levels…or vice versa. Or maybe there’s a sweet spot there. Higher order distortion products tend to be more present or audible than lower order products, but lower order distortion can mask higher order distortion. So, generally speaking, we want to make sure that higher order products are lower in amplitude than lower order products. Even order distortion is made up of octaves of the fundamental frequency, and is often described as “sweet” or “harmonious,” but can also sound “thick” or “muddy”. Odd-order distortion is commonly described using words like “bright” or “detailed,” but can also be “gritty”. So the specifics of the music you’re working with or listening to may favor one op amp over another. Here's an example. This is just a simulation in LTSpice, so it's only as good as the transistor models you use, but it should give you an idea of what these differences could sound like. 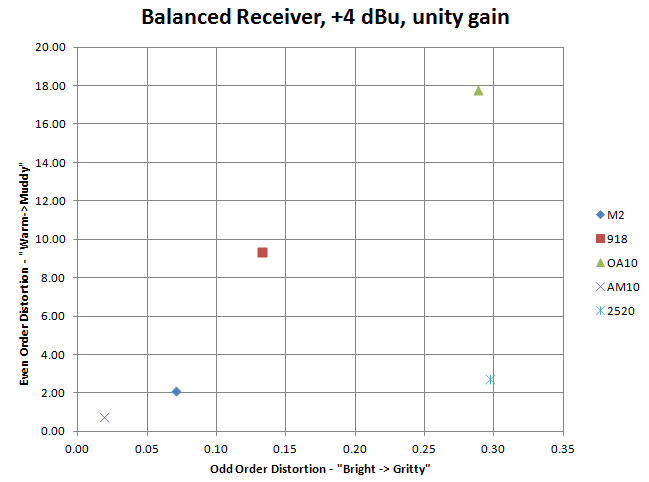 The simulation is a balanced input at unity gain, with a +4 dB signal going through it with a 10k load. I tried to make a graph to kind of envision what this would look like. The vertical axis is the amount of even-ordered distortion, and the horizontal is the amount of odd-ordered distortion. The numbers are in %THD * 1 million (to make nice round numbers). So the OA10 point is showing a THD of 0.0018%, which is almost all even-ordered (17.7 vs .29). But you can imagine that this would sound very different than a 2520, which has much less overall distortion (0.0003% THD) but the same amount of odd-ordered distortion! This should be not too surprising, right? The 2520 is called edgy and bright, while the OA10 has a reputation of being thick. Of course, it isn't quite as simple as all this because lower order harmonics tend to mask higher order ones, and all of these op amps have strongly even-ordered distortion. Also, I’m doing a simple percent sum of each harmonic, and in reality they sum by squares. So this is just a way to compare, not without flaws. And every circuit is going to have a different kind of map like this, because the load, source impedance, etc. that you give the op amp will make them behave differently. But these small differences are what we hear. U67 on Femvox, not the best choice . . . EXCELLENT POST! We need more like this. If you find yourself agreeing with me too often, start to worry. Sorry it took me a little bit to find time to do this. Here are some clips of the 1222 in action. In this folder I've enclosed 3 mixes. The first is RAW with no summing. The second I used Waves NLS Neve channel on the background track, which was an old track made for me 10+ years ago, and the SSL Buss channel on the master buss. The 3rd is the stereo vocal buss and stereo track sent into the 1222 for Summing. All were processed through the same 2 buss processing as; UAD SSL G Comp, UAD Brainworx bx_masterdesk Classic, Waves Kramer Tape, Maxim just to bring it up to level with no limiting. I've also included the RAW vocal and a vocal run through the 1222 and recorded from one of the mono outs. Last Edit: Mar 18, 2019 15:50:25 GMT -6 by Vincent R.
Hey y’all, we’re going to be in LA the first week of April. If anyone wants to demo a unit or grab a beer, let me know. I have a couple of 1222s in stock again. The next product up for release is the CS1. The CS1 is a three module channel strip. It began life as the channel strip for a console I wanted to make for myself. It has a triple input module using a shared amplifier for gain duties. The mic input comes in through a Jensen input transformer and has a pad and +48v controls. The DI is an unbalanced high impedance circuit, and the line input uses a discrete balanced transformerless amplifier (socketed DOA 1). These three feed the shared amplifier (socketed DOA 2) with a common gain knob and a transformer balanced output using a Cinemag steel core low inductance transformer. This is terminated with a continuously variable trim. This feeds a post-trim, balanced mic-pre out patch point. From there, the signal goes into the EQ via an op amp (socketed DOA 3) and into a simple high pass filter circuit, selectable between 50 or 80 Hz. This is isolated from the EQ by a discrete buffer which adds a touch of character to the tone. The EQ itself is a three band peaking Baxandall style inspired by one of my favorite designs. 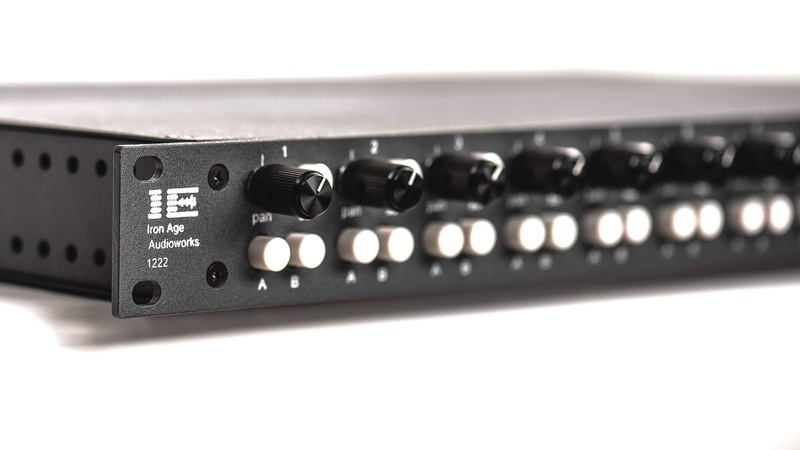 Each band has +/-15 dB available on five switched frequencies and an "off" position so the gain knob doesn't need to be perfectly centered when not in use. It uses two op amps (DOA 4 and 5) and has a balanced insert / EQ out patch point available via a second Cinemag output transformer. The third module is a balanced insert return (DOA 6) feeding a console style line amplifier (DOA 7) with 12 dB of gain in hand at the "fader" knob. This feeds the direct out, balanced by a third Cinemag transformer. As you might imagine, there's a lot of tone possibilities here. The gain staging can be adjusted to your needs, and it's really versatile as a tracking box as you can take the signal at any point you like out of the chain. The box comes with the M2 op amp, which is a tight, clean op amp with very high headroom. This pairs really nicely with the Cinemag steel core low inductance transformer for some heft and weight. It just sounds like a console. Like all of our stuff, this is made in the USA. The cases are made and painted in the USA, and everything is soldered by hand and wired here in Texas. Also like all of our stuff, customization is welcome. Frequency points, op amps, output transformers, multiple channels in a box...you name it, we'll figure it out. 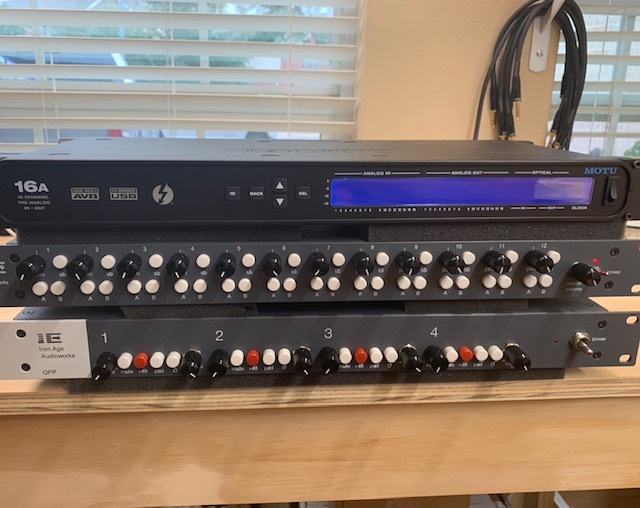 The one Vinnie posted a picture of earlier was a custom two channel box using Quad Eight op amps and transformers throughout. We're preparing for the first production run now. You can order one in advanced from the website. I really enjoyed the unit when I got to demo it. I really enjoyed how musical the EQ was. Looks really good Matt can’t wait for a couple of guys to tell us how they sound. Dats a lot of op amps! Like it. Yeah, the version I laid out originally for the console channel strip did not have adjustable level on the line input, or an output trim for the mic pre, or a balanced input on the insert return. So only one for the input, two in the EQ, and one in the line amp. Gets into some of the design intent of this. I figure in the tracking side, analog domain, it's all about the mic pre and utility. So I built this for as much utility as I could think of. Plus I figure these days most people only go out of the box for a handful of reasons...additive EQ (especially high end), intentional distortion, dedicated reverb units, or mojo. We almost all have limited AD, and mixdown becomes about decisions unless you are printing stems. Adding the additional op amps for me adds some tone that justifies going out of the box.